In this tutorial, we will guide you the way to change your voice in VoIP Buster with AV Voice Changer Software Diamond 8.0. -Check Virtual driver Mode (1). -Click the OK button (2) to apply the new settings and close the Preferences window. - Run VoIP Buster >> Login to your account. 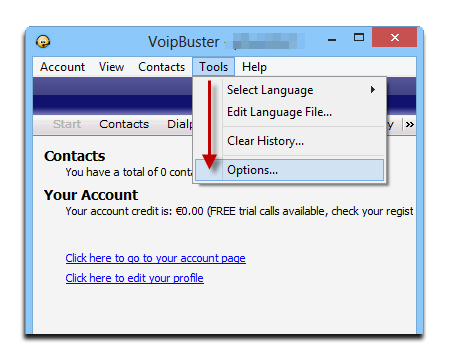 - Go to Tools >> Options to open VoIP Buster Options dialog box. - Choose Sound Devices (3) >> Sound device (4) section. 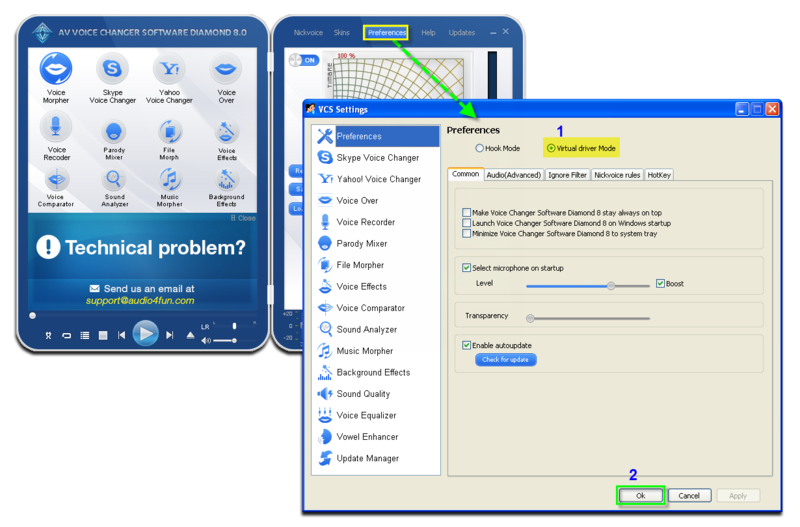 - Choose Microphone(Avnex Virtual Audio Device ) and Speaker(Realtek High Definition Audio) (4) as Audio In and Audio out respectively. - Click OK to apply and close Options dialog box. - Get back to VoIP Buster and start voice call. The morphed voice is applied, and your voice is now being changed. Note: While Voice Changer Software Diamond Virtual Audio Driver is being set as the audio driver for VoIP Buster, do NOT turn off Voice Changer Software Diamond while using voice chat via VoIP Buster. 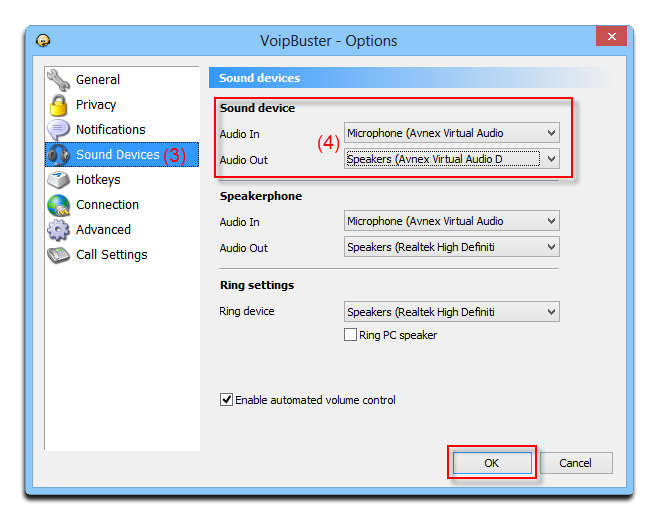 If you don’t want to use Voice Changer Software Diamond, change the audio settings of VoIP Buster back to normal audio source.